It's been a long time...this is a pattern for me. I am not a consistent blogger...but I do come here from time to time. The holidays came and went in a flash! We went to a few more holiday parties this year and then, after all of it, my hubby and I escaped to California for a few days to see friends and spend some quality time together...it was pure bliss!!! Now we're all getting ready for a big home renovation which will take up most of the year...thankfully we will be able to still be in the house and I'll have a small craft area for myself this year. 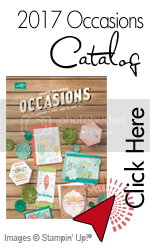 Stampin'Up came out with the brand new 2016 Occasions Mini catalog and I must say that it's probably my favorite or one of my favorite mini catalogs yet from them. 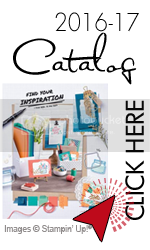 It's been difficult narrowing down my list of things I would like from this catalog. 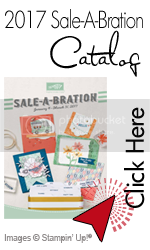 I did manage to order a few things before the catalog came out (one of the many perks of being a Stampin'Up demonstrator) and already created a couple cards with my new goodies. Wishing you all a healthy, happy and peaceful 2016!! !